This is definitely one of our must have jackets this season. We have fallen in love with its deep black colour with a subtle silver shimmer outside and its rich cream colour inside. 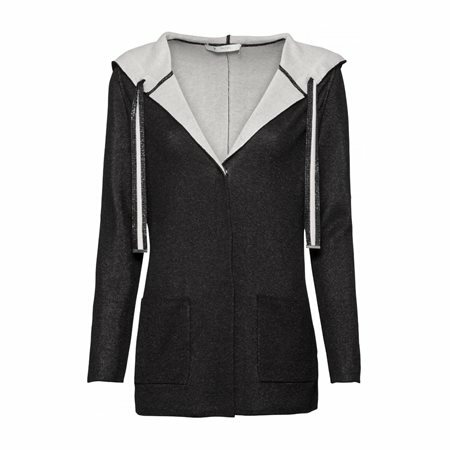 This is a hooded jacket with two drawstrings containing a cream strip with jewels on the black side. The jacket is finished with a button closure and two front pockets.